Adalita is working hard on her full-length solo album. The singer, best known as front woman with Aussie band, Magic Dirt, began mixing material off her new album earlier last month. “Last week I started mixing my record. I thought I was going to get it all done in three days but oh how wrong I was. It’s taking much more time than I was expecting but hey, that’s the way it’s gotta be so that’s all fine,” the singer said. Adalita completed recording the as yet titled new album in July last year. She worked on the album with fellow musicians Amaya Laucirica, and JP Shilo (of Hungry Ghosts). 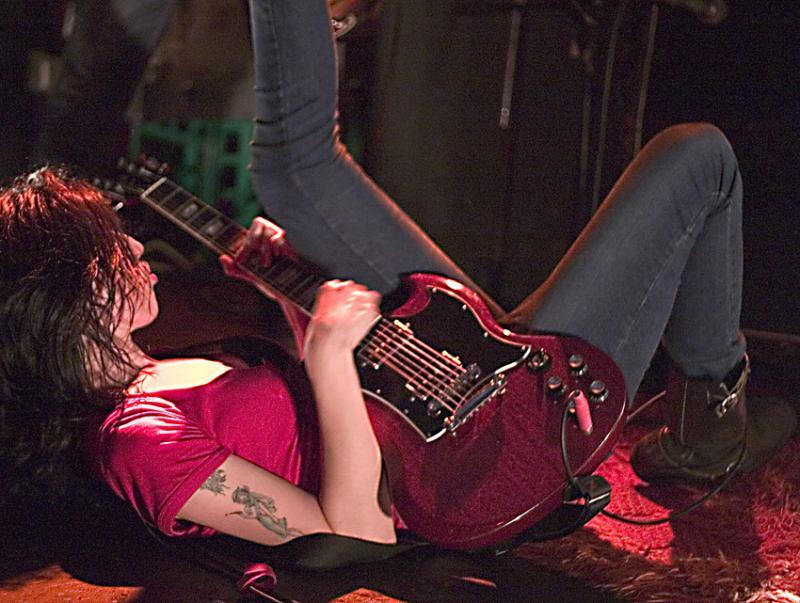 Work stalled on the new album following the untimely death of Adalita’s friend and fellow Magic Dirt band mate, Dean Turner on 21 August last year. Adalita performed at the recent Paul Kelly tribute show doing a stunning cover of ‘Sweetest Guy’. There is no fixed release date for Adalita’s debut solo release.